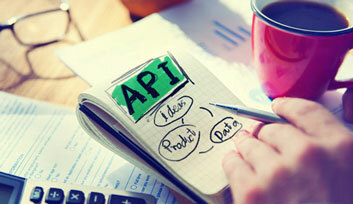 Did you know that you use APIs (or application programming interfaces) on an everyday basis? Every time you use your smart device, PC or laptop, a number of calls are sent to someone’s API and that includes actions like checking the weather, chat with your friends and even battery check! Extending software with API is like learning a new language for a person – new doors and perspectives to the world are opened. In simple words, there are more people out there with whom we can share out thoughts. With each language we learn, we open new communication channels and our possibilities increase exponentially. Since software solutions are part of our everyday life, it is no wonder that they share the same characteristic and APIs are one of their communication channels with endless possibilities. How do software systems communicate? Whenever you click on some application or web site, dozens of ‘short talks’ are performed in the background. Those ‘short talks’ are executed by sending requests and responses in the software world. These requests can be sent across different parts of that same application or they can be sent to a piece of software, which exists outside that application. This same fact is true for advertising platforms and large percentage of the communication between various software systems and advertising platforms today is done via web services. API stands for Application Programming Interface and it represents a list of operations that the software is capable of understanding and processing. Each software system has its own unique implementation of APIs, but only those that follow the predefined rules and guidelines are the ones that will benefit from it the most. As you can see, APIs can be used in many different cases. Use your imagination to maximize the value that you get from the platform APIs. You should also look for platforms that offer flexibility of the development so you could ask for specific API methods that you will need at some point. In most cases, advertising platforms have online documents and guidelines with a list of all methods and properties that can be read and edited. Those documents represent a sort of a dictionary for their API. At AdCumulus, we have moved even further by replacing these documents with an interactive page called API playground, which provides a list of all API methods and description of all properties. One huge advantage of this approach is that the methods here can be tried out in real time. Every time we use the internet, we expose ourselves to security risks and using APIs is not an exception. That’s why the security is a really important segment and should be considered very carefully. Best security systems consist of multilayer checks and validation on different parameters. At AdCumulus, we have set three layers of security that include IP White listening, secret API key and encrypted signature, which together proved to be an excellent combination. By introducing APIs, advertising platforms open new channels for integration that increase reliability, speed and flexibility while maintaining the security of the data. Automation is another benefit because manual clicking on the GUI is replaced with automatically generated request and responses that are sent in the background. I’m sure that now, when you have had a brief overview of how APIs works, you will find creative ways to use that possibility. Make sure that you extend your expectation list with one more paragraph next time you search for the best advertising platform.